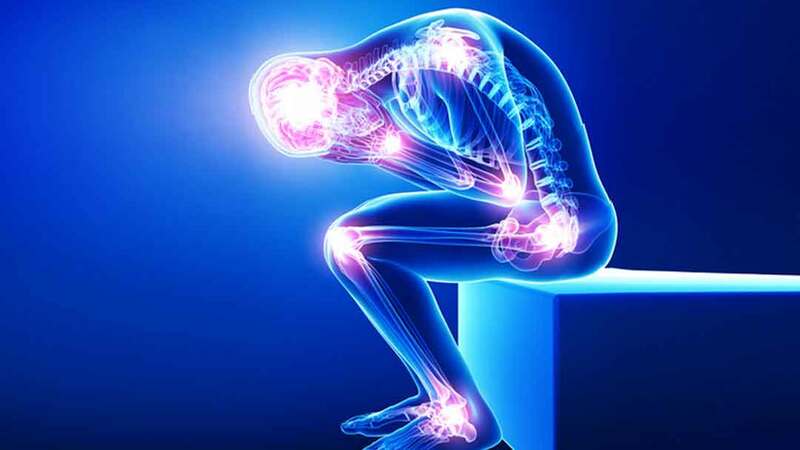 This article was adapted from the first installment of a multi-part series on the effects of amino acids and diet on pain, was originally published in Practical Pain Management in April 2009, updated September 2017. Click here for a PDF of the article. Pain management can be significantly assisted by the optimization of the body’s own analgesic system. The body’s three primary pain modulators appear to be the neurotransmitters endorphin, serotonin, and GABA (gamma amino butyric acid). Each of these endogenous pain-fighters is produced from very specific nutrients called amino acids. These amino acids are derived from high protein foods. They can also be given in quick-acting, free-form supplements derived from yeast. So, important are amino acids to pain practitioners that this journal is publishing a multi-part series on amino acids and diet for the pain practitioner. This first article outlines the basics of amino acids and diet in pain practice and subsequent articles will give more detailed protocols and guidelines for the use of pain-targeted amino acids and dietary therapies. Chemically speaking, an amino acid is a nitrogen molecule attached to hydrogen. The body utilizes about 20 different amino acids. Nine are classified as “essential” since they can be metabolized into all of the others with the possible exception of carnitine. Dietary protein is simply a matrix of amino acids derived from animals, milk, eggs, fish, plants or nuts. Foods vary widely in amino acid make-up, with animal-sourced protein providing the greatest volume and number. Amino acids are required for the production and maintenance of almost every function and tissue in the body. Their critical roles as the building blocks of muscle, bone, and hormones are well known. Less well known, but more crucial in terms of pain management, is the fact that endorphin, serotonin, and GABA—our primary pain-modulating neurotransmitters—are composed almost exclusively by specific amino acids. Not only do amino acids produce critical pain modulating neurochemicals and hormones, they are essential for muscle, bone, and soft tissue building and maintenance. Muscle wasting is a well-known occurrence in chronic pain and postoperative patients. While many foods contain protein, we recommend that pain practitioners know the foods that, by weight, are 50% protein (see Table 3). Pain patients tend to eat foods that are high in sugars and starches (carbohydrates) or fats. They often consume too little protein to raise and maintain levels of endorphin, serotonin, and GABA. Chronic pain patients must, therefore, be repeatedly counseled to eat protein on a daily basis. By conservative estimate, postoperative and chronic pain patients can only prevent significant muscle-wasting and neurotransmitter level depletion by consuming 90-100 grams of protein per day. What would this look like? Breakfast—eggs and ham; lunch—a large turkey or beef sandwich; dinner—a salmon steak. By contrast, the protein content of a hospital diet—depending on the type of diet—often fails to meet this minimum (see Table 4). Protein powders in liquid may augment protein needs, as an the taking of an IV-administered complete blend of 20 free-form amino acids or oral capsules of the same complete amino blend. Simply stated, the entire natural and continuing pain-relief system of the human body is fueled by amino acids. Without adequate physiologic body levels of some specific amino acids—and the neurochemicals and hormones they produce—good pain control is not consistently possible. It is for this reason that pain practitioners should master knowledge and use of select amino acids and dietary counseling. When protein is eaten and enters the small intestine, it is disintegrated by enzymes into individual “free” amino acids, which pass directly into the blood to the liver which begins to immediately metabolize them into secondary amino acids or other compounds that become: the primary building blocks of neurochemicals, muscle, bone, enzymes, hormones, and more. Modern day chemical manufacturing has produced techniques that allow amino acids to be singularly made in physiologic or even supra-physiologic doses. When singular amino acids are given, it is called “precursor therapy” because the goal of therapy is to provide a substrate that will raise the body’s levels of one or more of the targeted pain-killing neurochemicals that are listed in Table 2. Individual amino acids are commercially available as tablets, capsules, powders, or administered by I.V. Pain practitioners will want to identify the single amino acids that will best benefit particular patients. All amino acids are classified by the U.S. Food and Drug Administration as dietary supplements, so they are widely available at reasonable prices in health food stores, pharmacies, catalogs, and on the internet. Amino acid blends are widely sold in drinks or powders, and advertised or labeled for “energy,” “brain power,” or “body building.” The dosages in most of these products, however, are usually too low to be of much benefit to chronic pain patients. We therefore recommend that practitioners use concentrates of the specific amino acids indicated in Table 3, along with a high quality, free-form amino acid blend containing all 20 amino acids such as Total Amino Solutions by Genesa or widely available IV formulations. The common mistake when recommending amino acids to patients is rooted in the misunderstanding that amino acids, unlike the usual prescription tablet or capsule, is highly soluble in food. In fact, the protein content of a meal will compete with the supplemental amino acids for entry into the brain. It is best, therefore, to take amino acids between or before meals. The cardinal rule in the use of amino acids: take on an empty stomach with cold fluids. Recommended dosing with amino acid supplements are summarized in Table 5. 1. Juhl JH et al. Fibromyalgia and the Serotonin Pathway. Altern Med Rev. 1998. 3(5): 367. 2. Birdsall TC. 5-Hydroxytryptophan: a clinically-effective serotonic precursor. Altern Med Rev. 1998. 3(4): 271-280. 3. Chen TJ, Blum K, Payte JT, Schoolfield J, Hopper D, Stanford M, and Braverman ER. Narcotic antagonists in drug dependence: pilot study showing enhancement of compliance with SYN-10, amino-acid precursors and enkephalinase inhibition therapy. Med Hypotheses. 2004. 63: 538-548. 4. Nicolodi M and Siculeri F. Fibromyalgia and migraine, two faces of the same mechanism. Serotonin as the common clue for pathogenesis and therapy. Adv-Exp-Med-Biol. 1996. 398373-9. 5. Ehrenpreis S, Balagot RC, Myles S, Advocate C, and Comaty JE. Further Studies on the Analgesic Activity of D-Phenylalanine in Mice and Humans. Procedures of the International Narcotic Research Club Convention. E. Leong Way (ed). 1979. pp 379-382. 6. Libby, A.F., and Stone, I. The Hypo Ascorbemia-Kwashiorkor Approach to Drug Addiction Therapy: A Pilot Study. Orthomacular Psychiatry, Vol 6, No.4, 1977, Pp.300-308. 7. Nabipour, S., Said, M.A., and Habil, M.H. Burden and Nutritional Deficiencies in Opiate Addiction-Systematic Review Article. Iran J Public Health, 2014, Aug; 43(8):1022-1032. PMCID:PMC4411899. 8. Grachev ID, Fredickson BE, and Apkarian AV. Abnormal brain chemistry in chronic bak pain: an in vivo proton magneti resonance spectroscopy study. Pain. Dec 2000. 89(1): 7-18. 9. Abdou AM, Higashiguchi S, Horie K, et al. Relaxation and immunity enhancement effects of gamma-aminobutyric acid (GABA) administration in humans. Biofactors. 2006. 26(3): 201-208. 11. Ross J. The Mood Cure. Penguin. 2004. Thanks to Practical Pain Management Associate Editor, Forest Tennant, M.D. for valuable contributions to this article and to the field of Amino Acid Therapy for over thirty years.